Munich, Germany 20 February Tuesday, 4:00 p.m. local time Normally, Lauren Pennington loved the sound of her combat boots clomping across the cobblestone apron. But right now, all she could think about was the growling of her empty stomach, urging her to move faster. She was oblivious to everything else—the couple on the corner sharing a passionate, open-mouthed kiss, the guy puking up his over-consumption of beer into the storm sewer grating, and the man watching her every move as he talked into his cell phone in a language that Lauren wouldn’t have recognized had she been paying attention. She walked into Hofbräuhaus’ main hall, took a seat at one of the wooden tables, and placed her order. Minutes later, the waitress came over and brought Lauren’s food and drink. Barely uttering a perfunctory “Danke,” Lauren bit into a pretzel the size of her head and took a healthy gulp of Hofbräu. The semester had ended, and she was entitled to some carbs and a dose of people-watching at the historic Munich brewery. Pretzels and beer were addicting, but people-watching had always fascinated her. Despite a whole winter semester of her junior year abroad studying art history at the Ludwig Maximilian University at Munich, she still enjoyed playing the tourist. Not at school, but every time she strolled the streets, studied the architecture, chatted with the locals. Hofbräuhaus was less than a mile from campus, but the brewery’s main hall had a reputation all its own. With its old-world atmosphere of wooden tables, terra cotta floors, painted arches, and hanging lanterns, how could anyone not feel a sense of history just being within these walls? Maybe that’s why Europe called out to her, not just here, but from a million different places. Museums. Theaters. Cathedrals. She wanted to experience them all, and then some. She’d be going home to San Francisco in July, and she hadn’t been to Paris or London or Brussels. She’d gotten a mere taste of Munich and had yet to visit Berlin. When would she get another chance to do all that? Not for ages. And certainly not with the sense of freedom she had as a college student, with little or no responsibilities outside her schoolwork to claim her attention. On the flip side, she felt terribly guilty. Every February, her entire family traveled to Lake Tahoe together. It was a ritual and a very big deal, since her father rarely got a day, much less a week, off as a high-powered executive. Her mother usually began making arrangements for the trip right after the holidays. In her mind, it was like a second Christmas, with the whole family reuniting and sharing time and laughter together. This year was no different. Lauren’s brother, Andrew, and her sister, Jessica, were both taking time off from their busy careers to join their parents at Tahoe—no easy feat considering Andrew was an intellectual property attorney in Atlanta, and Jess was a corporate buyer for Neiman Marcus in Dallas. Lauren was the only holdout. Lauren. The college kid. The baby. The free spirit who always came home from Pomona College to nest, especially for family gatherings and rituals. Her parents had been very quiet when she’d told them about her plans. Lauren knew what that silence meant. After the phone call ended, her mother would have cried that she was losing her baby, and her father would have scowled and written off her decision as college rebellion. Neither was true. But no matter how she explained it, her parents didn’t understand. They’d traveled extensively in Europe, and to them, it was no big deal. But it was Lauren’s first time here, and to her, it was like discovering a whole new world—a world she felt an instant rapport with. It was like discovering a part of her soul she’d never known existed. And she had to immerse herself in it. She’d entertained the idea of flying to Lake Tahoe for the week and then returning to fulfill her dream. Her parents would definitely pay for that. But given the long international travel, the flight changes, the time differences, and the jet lag, Tahoe would put too much of a crimp in the many plans she had for her break between semesters. She’d had invitations from school friends who said she could stay with them during her travels—friends from Germany and so many other countries. The world was at her feet. No, despite how much she loved her family, she had to do things her way this time. There’d be other Februarys, other trips to Tahoe. But this was a once-in-a-lifetime opportunity. She was still drinking her beer and lamenting her situation when a masculine voice from behind her said, “Hallo. Kann ich mitmachen?” Turning, Lauren saw a handsome, rugged-featured guy, gazing at her with raised brows. He was asking if he could join her. “Sind Sie allein?” he asked, glancing to her right and to her left. “Yes, I’m alone,” she answered in German. “And, yes, please join me.” The man came around and slid onto the bench seat. He propped his elbow on the table, signalling to the waitress that he’d have the same as the lady. The waitress nodded, hurrying off to get his refreshment. He turned his gaze back to Lauren. “You’re American,” he noted, speaking English that was heavily accented. “Guilty as charged,” she responded in English. “Is it that obvious?” She gave him a rueful look. He smiled, idly playing with the gold chain around his neck. “Your German is quite good. But I picked up the American…what’s the word you use? Twang.” Lauren had to laugh. “It’s my turn to take a stab at it, then. You’re French? Slavic? A combination of both?” “The last.“ His smile widened. “You have a good ear, as well.” “Your German and your English are excellent. I guess I just got lucky.” “Speaking of getting lucky, what’s your name?” he asked. His boldness took her aback, but she answered anyway. “Lauren. What’s yours?” “Marko.” He held out his hand, which Lauren shook. “I’m in Munich on business. And you?” “I’m an exchange student. I’m on break, and I’m looking forward to enjoying some time exploring Europe.” Marko looked intrigued. “I can give you a few tips.” A mischievous glint lit his eyes. “Or I could travel with you for a few days and give you the best taste of Munich you’ll ever have.” Lauren felt flushed. She was twenty years old. She knew very well what Marko meant by “the best taste.” She should be offended. But she couldn’t help being flattered. He was older, good-looking, and charming. Nonetheless, she wasn’t stupid. And she wasn’t in the market for a hookup. “Thanks, but I’m tackling this trip on my own,” she replied. “I’m meeting up with friends later, but I’m good as planned.” “Pity.” The glint in his eyes faded with regret. “Then at least let me give you some pointers about the best sights to see and the best restaurants and places to visit.” “That would be fantastic.” Lauren rummaged in her purse for a pen and paper. Having found them, she set her bag on the floor between them. She spent the next twenty mesmerizing minutes listening to Marko detail the highlights of Munich and other parts of Bavaria, as she simultaneously scribbled down what he was saying. “Thank you so much,” she said when he was finished. “This is like a guided tour.” “Once again, I could do it in person.” “And once again, I’m flattered, but no thank you.” Lauren signaled for her check, reaching into her bag and retrieving a twenty euro bill when the waitress approached the table. “The rest is for you,” she told her. “I’ll take care of that,” Marko offered, stopping Lauren by catching her wrist and simultaneously fishing for his wallet. Evidently, he was still holding out hope that she would change her mind. “That’s okay. I’ve got it.” Lauren wriggled out of his grasp, leaned forward, and completed the transaction. “You’ve been a tremendous help,” she said to Marko as she rose. “I’m glad we met.” This time it was she who extended her hand. Reluctantly, he shook it. “I hope we meet again, Lauren. I’ll look for you the next time I’m in Munich.” Still smiling, Lauren left the café and walked through the wide cobblestone apron outside. There were little tables with umbrellas scattered about, with patrons chatting and eating. Sated by the beer and pretzel, she inhaled happily, and then, walking over to the sidewalk, began what she expected to be a thoughtful stroll. Maybe she’d text her parents this time, try explaining her position without all the drama of a phone call. She was halfway down the street when she heard a male voice call after her, “Lauren!” She turned to see Marko hurrying in her direction. “Here.” He extended his arm, a familiar iPhone in his hand. “You left this on the table.” “Oh, thank you.” How could she have been so careless? She protected her cell phone like a small child. “I’d be lost without that—“ As she spoke, a Mercedes van tore around the corner and came screeching up to them. The near doors were flung open, and a stocky man jumped out, his face concealed by a black hood. Before Lauren could so much as blink, he grabbed her, yanking a burlap sack over her head and tossing her over his shoulder. “Merr në makinë,” he said in a language Lauren didn’t understand. By this time, Lauren had recovered enough to struggle for her freedom. Her legs flailed in the air, kicking furiously, and she pounded on the man’s back as he carried her and flung her into the back of the van. Marko jumped in behind her, slamming the doors shut and barking out something in the same dialect as the other man—neither French nor Slavic—as the stocky barbarian held her down. Finally finding her voice, Lauren let out a scream, which was quickly muffled by the pressure of Marko’s hand over her mouth. She could taste the wool of the sack, and she inclined her head so she could breathe through her nose. A short-lived reprieve. Marko fumbled around, then shoved a handkerchief under the sack, covering her nose and mouth. Lauren thrashed her head from side to side, struggling to avoid it. The odor was sickeningly sweet and citrusy. Chloroform. Tears burned behind her eyes. Shock waves pulsed through her body. Oh God, she didn’t want to die. Marko clamped his other hand on the back of her head, holding it in place while he forced the handkerchief flush against her nose and mouth, making it impossible for her to escape. Dizziness. Nausea. Black specks. Nothing. “Shko,” Marko ordered his accomplice, shoving him toward the driver’s seat. The van screeched off, headed to hell. 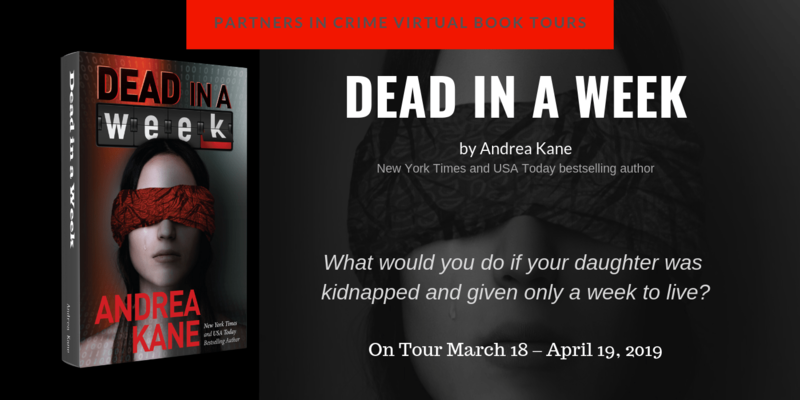 *** Excerpt from Dead In A Week by Andrea Kane. Copyright © 2019 by Andrea Kane. Reproduced with permission from Andrea Kane. All rights reserved. Lauren Pennington is spending time at a bar in Germany when a man comes up and starts talking to her. Then just that quick she is kidnapped and held for ransom. It seems her father, Vance has some cutting edge communication technology that the kidnappers want in exchange for Lauren’s life. Thankfully Aiden Deveraux and the Zermatt Group are on the case. Aiden’s team found the kidnapping and figured out why Lauren was taken and reported the kidnapping to Vance. They are also there to help get Lauren back home safe and make some bad guys pays. I have read a couple of the books in this series and just love them. I really need to sit down and catch up on the ones I have missed. I love Aiden’s team. They have the resources to stop events like this one. Aiden is just a great leader, the team works well together, and they have all this high tech goodies to get the job done. There is lots of action and edge of your seat thrills as the team races to rescue Lauren and expose the mole. If you like thrillers you need to get a copy of this book. 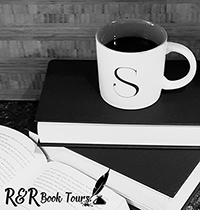 Dead in a Week is a captivating story that will have you madly rushing through the book and wanting more when the story is done. 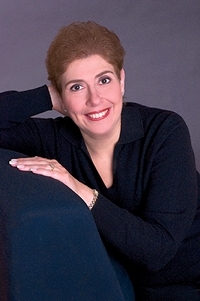 This is a rafflecopter giveaway hosted by Partners in Crime Virtual Book Tours for Andrea Kane. There will be 6 winners. One winner (1) will receive an Amazon.com Gift Card and five (5) winners will receive an eBook copy of Dead In A Week. The giveaway begins on March 18, 2019 and runs through April 21, 2019. Void where prohibited. I agree!! I couldn’t put this book down!